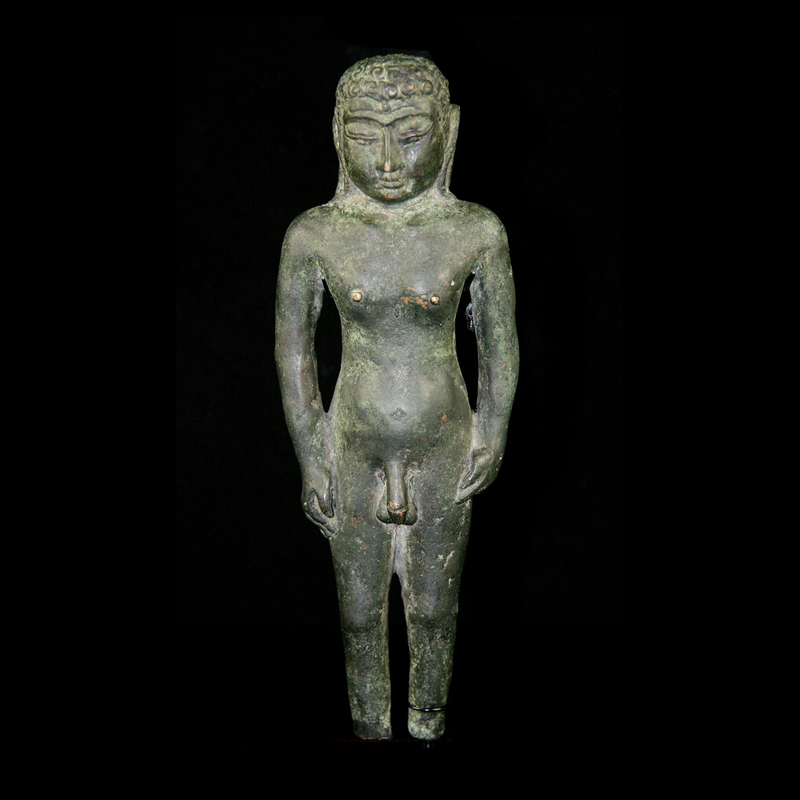 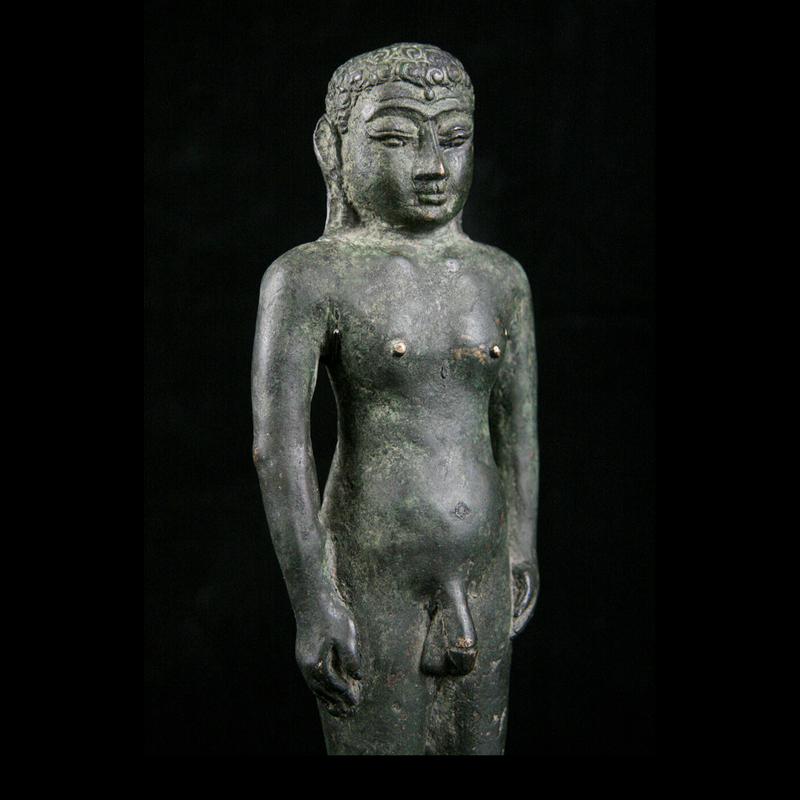 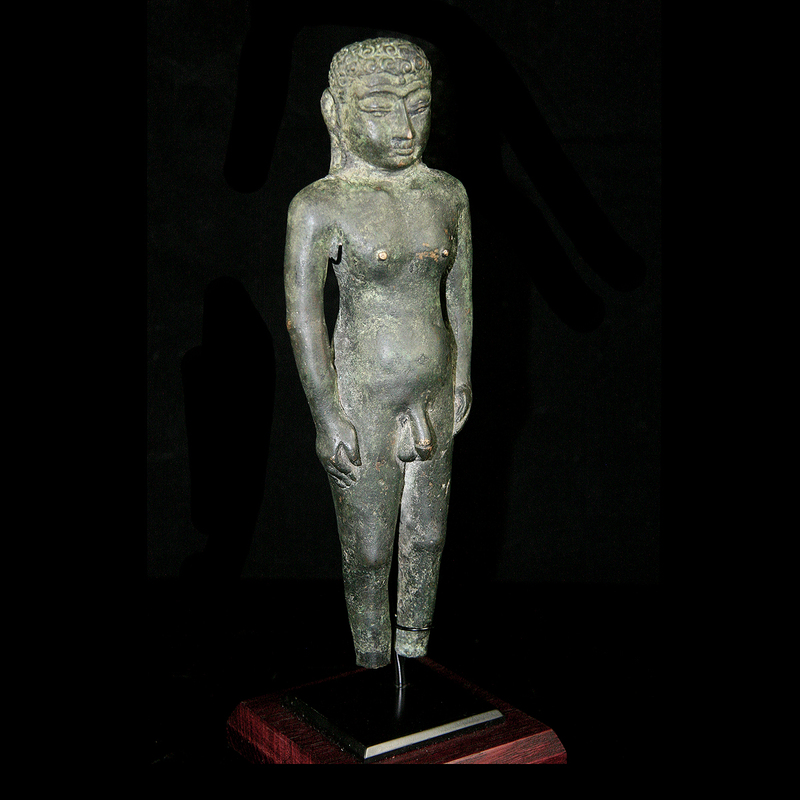 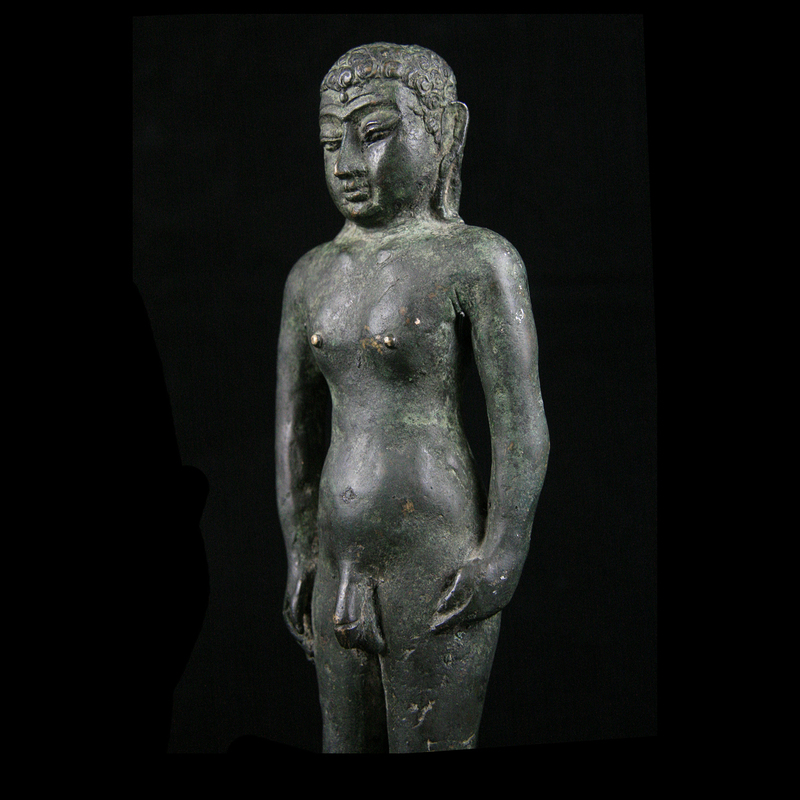 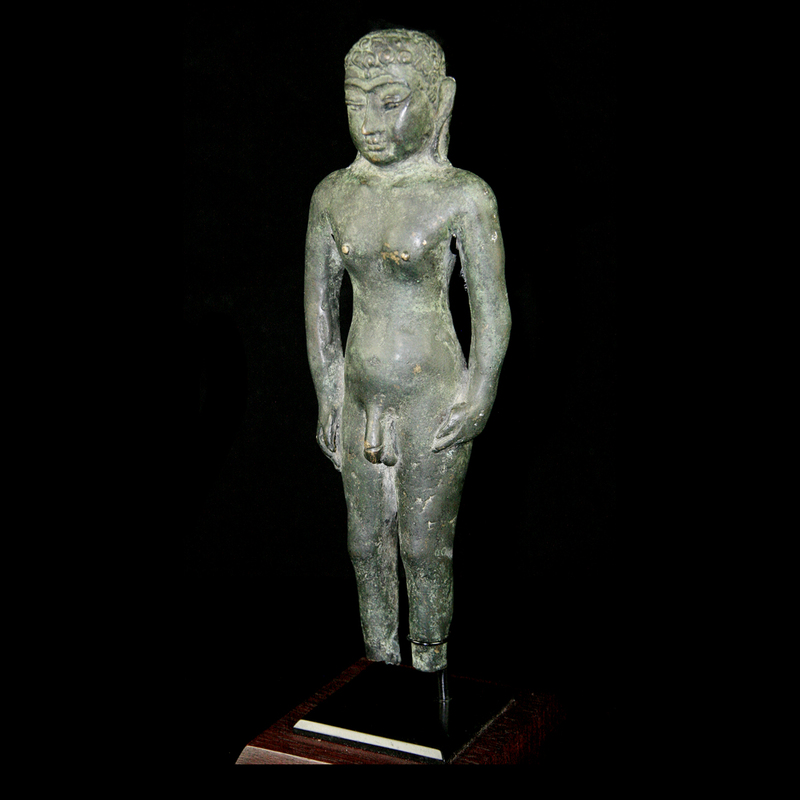 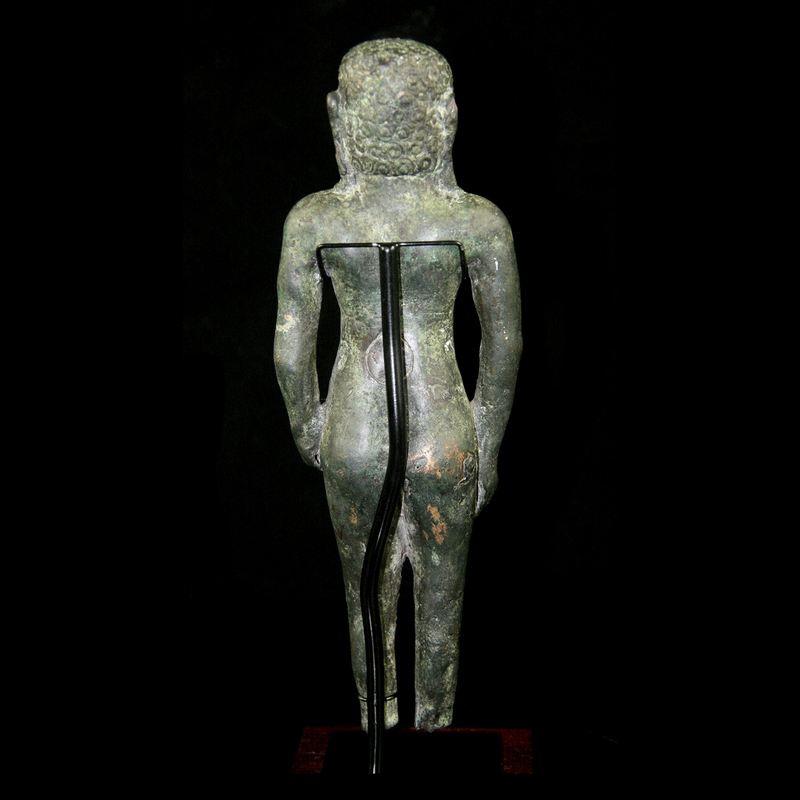 A fine Jain solid cast bronze statue of a Jina possibly Mahariva, standing naked in the Digambaras tradition (sky-clad). 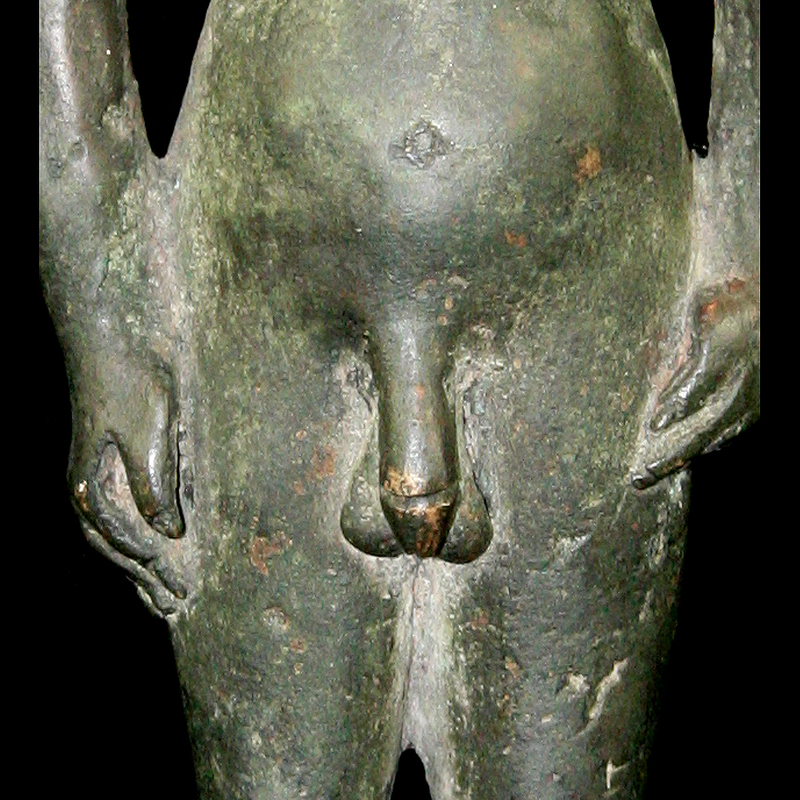 Beautiful naturalistic form with both arms hanging down the sides the hands resting on the waist. 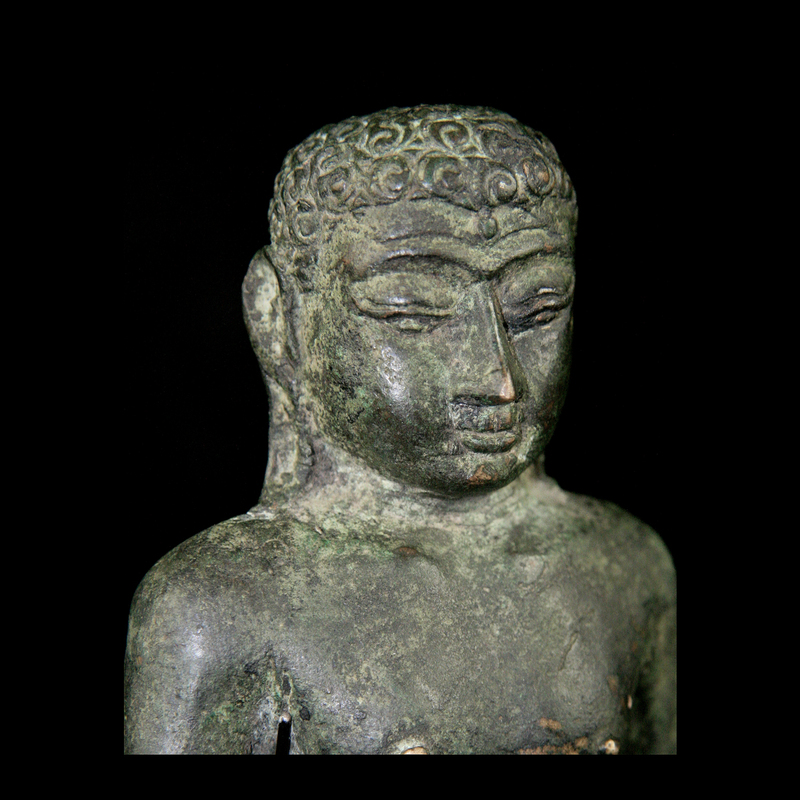 The face with a serene expression, the hair cut short with enlarged earlobes indicating a person of higher status having previously worn large elaborate airings. 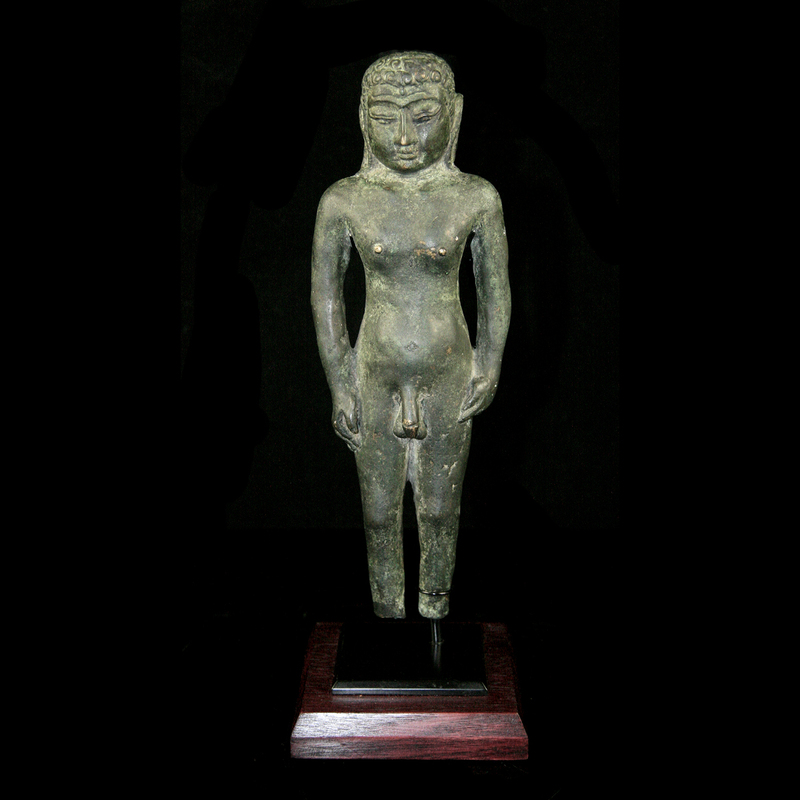 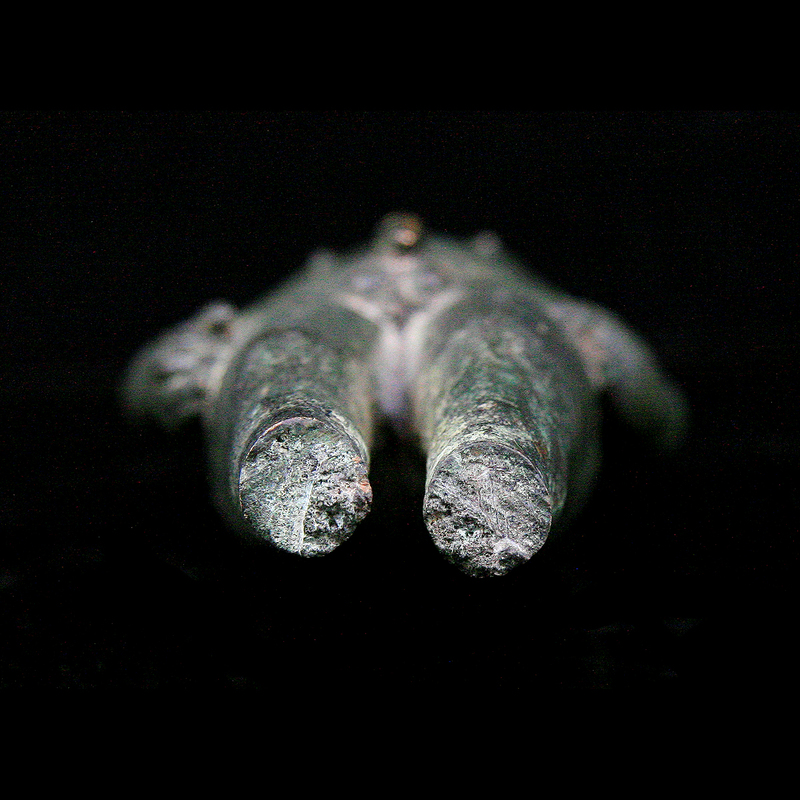 Ancient loss evident on the lower legs, with an all over oxidised verdigris patina, presented on a custom display mount.